Will your own attitude hurt or help your teenagers' first driving experiences? 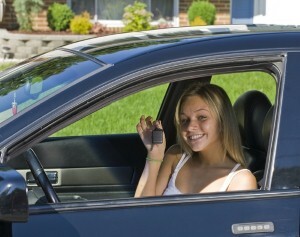 Home » Dad » Will your own attitude hurt or help your teenagers’ first driving experiences? Will your own attitude hurt or help your teenagers’ first driving experiences? As one of the first steps toward adulthood, securing a driver's license can simultaneously be an exciting and nerve-wracking moment in your teens' lives. However, before your children can worry about taking the written exam or impressing a driving instructor, they will need some help from their father to learn the rules of the road. So, what does this mean for you? While your children get comfortable in their new role behind the wheel, it's important that you also know how to conduct yourself as their instructor. Your teens are likely feeling a little nervous – your children aren't Mario Andretti after all – so be careful about offering overly harsh constructive criticism. Even if something seems completely obvious to you – like stepping on the brake before putting the car in drive – don't assume your not-so-little-one knows it too. If they bump the curb or put a few scratches on the car, don't blow up in frustration or anger – that's only going to make the learning process worse. Mistakes are a part of gaining experience, and it's better that your children mess up with you in a parking lot instead of alone on the road. Keep a close eye on their maneuvers, and slowly build up their confidence by offering step-by-step guidance for turning, signaling, braking, accelerating, reading street signs and sharing the road. It will likely take more than a couple of hours behind the wheel before your teens have a mastery of the basics, but with some patience and your expertise, they'll be on track to earn their driver's licenses. In the meantime, breathe easy.